Scroll through to watch GarageTek’s latest videos. 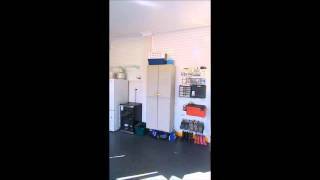 Simon loves GarageTek because after 5 years his system still looks brand new. Even in spite of a lot of children and family use! Take a moment to learn how GarageTek provides a flexible and durable garage organization solution from ceiling to floor. The Moscetta family has an impeccable home, but the garage is another story. CBS Consumer Watch and GarageTek identify the unknown dangers in most garages. The transformation delivers a safe, new room in the home. Closet organization boomed in the 90s but then homeowners threw everything in the garage. 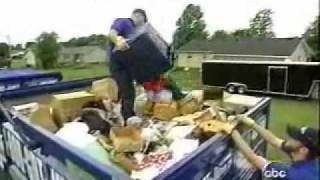 GarageTek is the first to change the paradigm of the garage being the place to throw junk. The McMichaels family with three small children can hang up the bikes and fit the car in the garage. Professional Organizer Barry Izek and GarageTek take only two days to design, install and organize a garage for a busy family. Organizing the garage by zones, allows homeowners to easily find what they need, when they need it. More importantly kids access toys, but are far from dad's tools. A safe and functional garage is possible. 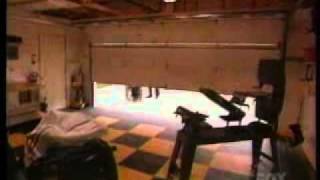 Extreme Makeover Home Edition and GarageTek team up to create the dream garage for an auto mechanic. The new home is amazing, but Willy is in love with the garage. It's his personal space to enjoy his car passion. HGTV's Mission Organization learns how the garage become an office for a home-based sales rep. From storing product samples to easy access to everything, this is space they never knew they had. 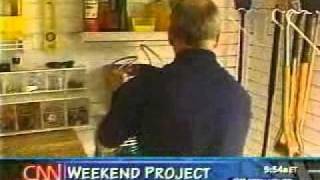 Fox's Renovate My Family and GarageTek donate a garage organization system for a disabled youth to continue his passion of woodworking with his father. The flexibility of the system design allows for access to all the tools and workbenches for this family to create be a productive team again. Keeping the garage floor clean my seem impossible. But actually it is simple with GarageTek's patented ProTek floor tiles. You can even add custom logos to give the garage the flair of the rest of the home. 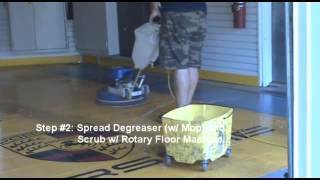 Watch how simple it is to keep your modular floor clean. GarageTek demonstrates how simple it is to install and rearrange any of the custom accessories. If you purchase a new car or take on a new hobby, the 100+ products that snap into the patented paneling can move as needed. 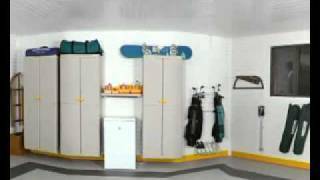 Lift and slide into the new position for flexible and secure garage storage. 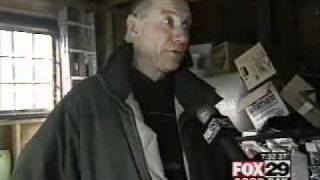 Fox's Good Day features how GarageTek organizeed a three-car garage so now the cars can be parked in the garage instead of the driveway. This is a common problem that homeowners are too intimidated to tackle. The professionals at GarageTek transform garages every day all over the world. UK's Working Lunch features the introduction of a revolutionary garage solution for British homeowners. With the same disorganized garages as American homeowners, the entrance of GarageTek is a welcome new product. ABC's The View and GarageTek tackle America's Messiest garage with amazing results. Tennessee daughters nominate their mom and are glad they did when they see their new garage. Mom is the most shocked and thrilled.